As originally published by Human and Experimental Toxicology, 2010. The willingness to view risk as part of daily life has vanished. A risk-averse mindset among environmental regulators engenders confusion between the ethics of intention and the ethics of consequence, leading to the elevation of the precautionary principle with unintended and often unfortunate outcomes. Environmental risk assessment is conservative, but the actual level of conservatism cannot be determined. High-end exposure assumptions and current toxicity criteria from the USEPA, based on linear extrapolation for carcinogens and default uncertainty factors for systemic toxicants, obscure the degree of conservatism in risk assessments. Ideally, one could choose a percentile of the target population to include within environmental standards, but this choice is complicated by the food, pharmaceutical and advertising industries, whose activities, inadvertent or not, often promote maladaptive and unhealthy lifestyle choices. There has lately been much discussion about background exposures and disease processes and their potential to increase the risk from environmental chemicals. Should these background exposures or disease processes, especially those associated with maladaptive individual choices, be included as part of a regulatory risk evaluation? A significant ethical question is whether environmental regulation should protect those pursuing a self-destructive lifestyle that may add to or synergize with otherwise innocuous environmental exposures. Choosing a target percentile of protection would provide an increased level of transparency and the flexibility to choose a higher or lower percentile if such a choice is warranted. Transparency and flexibility will lead to more responsive environmental regulation that balances protection of public health and the stewardship of societal resources. While there are strong arguments for teleological ethics, and while utilitarianism forms the basis of modern decision theory and decision analysis, the ultimate expression of utilitarianism is that the moral worth of an action is solely determined by its consequences or, put simply, the end justifies the means. Those with a deontological bent may believe that the position of the end justifying the means is not a moral position because the acts needed to achieve these ends are immoral (e.g., war, torture). In general, utilitarianism or teleological ethics provides the basis of environmental regulation - there is no intrinsic common good in setting an environmental regulation, such as a maximum contaminant level (MCL) in drinking water, at a particular level; instead, the common good arises from the protection inherent in the regulation - the consequent avoidance of human disease and the sustainability of the environment. This position is consistent with the principles of Hobbes, Locke, Rousseau, Bentham and Mills.5-10 Environmental standards are an expression of the utilitarianism inherent in the social contract - these standards seek to provide protection of public health without undue impact to the economic activities of the regulated community whose products and activities also increase the common good. Lack of expertise is not the only factor that drives the embrace of deontological ethics. Of likely greater influence is the uncertainty associated with risk assessment and the increasing risk aversion in modern society. Much of the conservatism inherent in risk assessment is based on this embrace of deontological ethics expressed by the precautionary principle that some find more appealing than the difficult task of balancing competing agendas in a way that attempts to be fair and democratic. With regard to the setting of environmental regulations, if a regulatory agency chooses the 95th percentile of risk as the basis of a standard, then this choice implicitly expresses the ethics of consequence - that 796 Human and Experimental Toxicology 30(8) 5% of the population will experience a predicted risk greater than regulatory levels of concern and that this choice is appropriate. On the other hand, some might argue that the choice of the 95th percentile means that in actuality 100%of the population will be included in the standard because risk assessment is already a highly conservative process, and the choice of a high percentile implicitly expresses the ethics of intention. 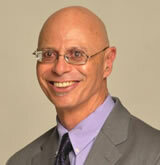 Ted W. Simon, PhD, DABT, is an award winning Environmental Toxicologist and Scientist. His expertise is in toxicology, risk assessment, mathematical modeling, statistics, neuroscience, and environmental / ecological health issues. Dr. Simon has over 10 years of experience as a toxicologist employed by the Environmental Protection Agency (EPA). He served as EPA's senior toxicologist in the waste management division working on risk and soil cleanup.